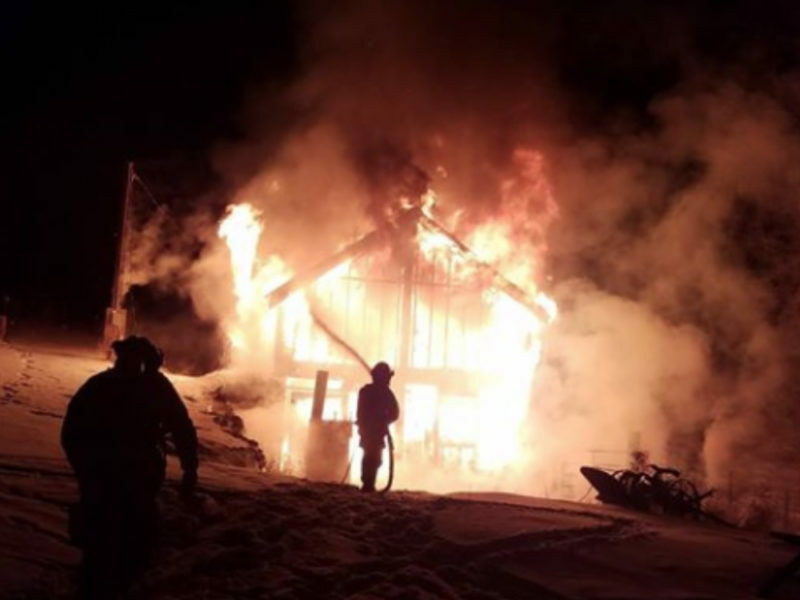 Chelan Fire and Rescue responded to a structure fire off Henderson Road that was reported around 6 a.m. Sunday morning. Engine 71 and Brush 71 were the first to arrive and report that a 20 foot x 30 foot, two story barn was fully involved. Two Chelan County Deputies had arrived before the fire department. Additional units included: Battalion 7, Engine 79, Engine 52 (Manson Fire), Tender 71, Tender 74 and Medical 3171, responded and stood by. This was a defensive fire operation supported by a water shuttle operation due to no fire hydrants in the area. Personnel had to overhaul 300 feet of fire hose through heavy snow to engage the fire. There were reports of chickens and goats in the barn, all the animals perished in the fire. The cause of the fire in under investigation. “The temperature outside was 9 degrees, the initial on duty responding crew were timely for the weather and road conditions they were faced with,” said Fire Chief Tim Lemon. “We also had a good response from our home volunteers, two personnel from Manson Fire and three of our off duty career staff reported back to work,” said Lemon.